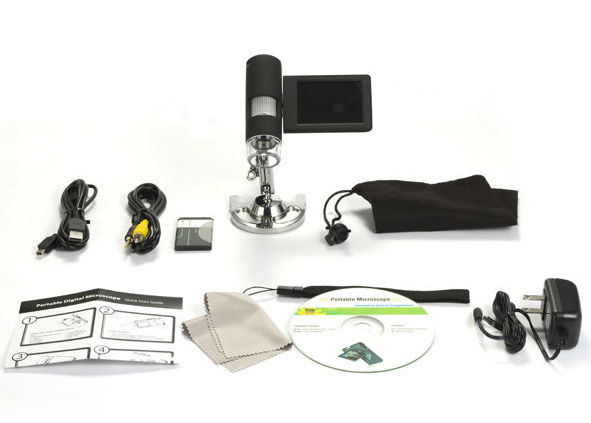 The 3" Handheld LCD Digital Microscope is a fantastic microscope that provides a good way for you to have microscopic observation on the go. The 3" quality LCD panel brings vivid crystal image. Equipped with professional microscopic lens, it helps you to see tiny objects easily. With 20-300x optical and 4x digital zoom, the magnification can be up to 1200x. 800mAh rechargeable li-ion battery provides a 3.5-4 hours standalone working time. The 8 bright LEDs, with brightness adjustable, is bright enough for perfect observation. More exciting is the professional measurement software can help to measure size as small as 0.001mm, which is extremely helpful to your scientific researches. 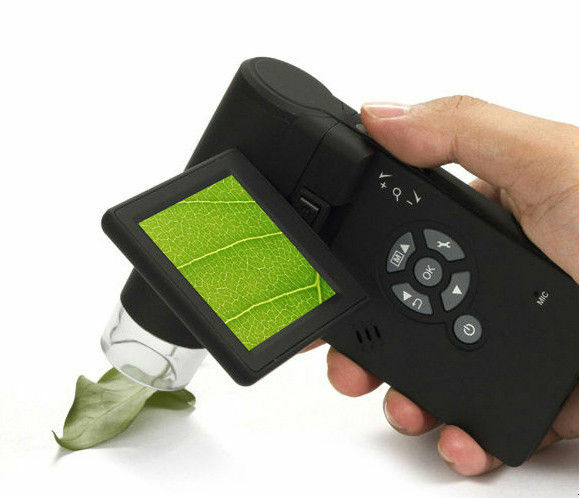 With this microscope, you can enjoy your researches anytime and anywhere.